Not much new this week. 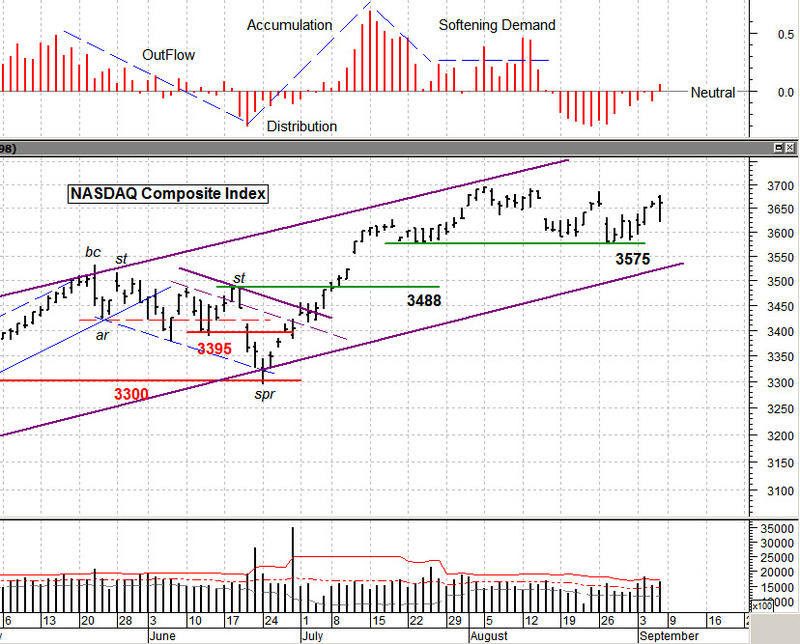 The markets did go back up into their recent trading range; volume was “ho-hum”. The big question is this lateral range of price movement a base building formation or is it a sign of slow and steady distribution? Actually, it’s not giving us that many signs either way. I’m not seeing any convincing volume clues and it just looks like we’re stuck in neutral for a while. There are significant head winds in the news running from Syria to the upcoming budget battle, so my guess is who ever wanted to be “in”, is in and whoever wants to sit of the fence and be careful, is just sitting. The positive news this week was that prices overall did strengthen, if only by a little bit. 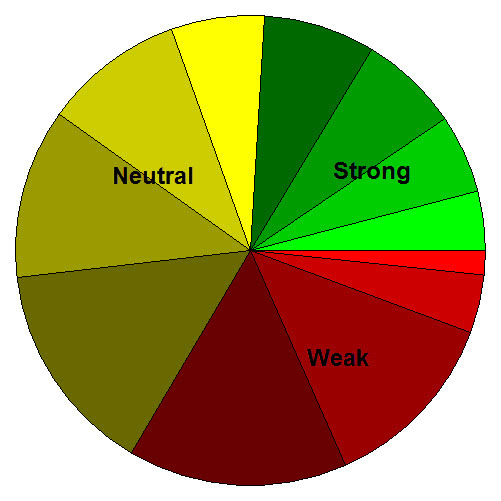 The pie chart below is showing more Green and Yellow and less Red from a week ago. This is minor improvement. And so it goes. There are pockets of strength and activity. 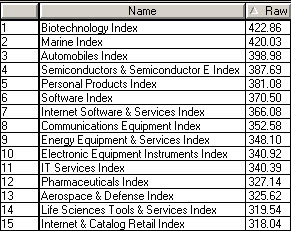 We note the list of the top 15 sectors (out of 68) ranked by recent price strength. Biotech and computer / internet tech are the standouts here. They are not head and shoulders better, but it looks like the money is flowing into areas that may have the best chance for appreciation IF the trend up resumes. Apples announcement next week could help shake out the market cob webs; it needs something. I am invested in select stocks, and only in one sector area. My Market Model is Neutral right now and could really swing in either direction. In that case, I’m comfortable in Cash. Have a good week, as we carefully make our way through the month of September. ………… Tom …………. price chart by MetaStock; pie chart & table by http://www.HighGrowInvestor.com; used with permission.